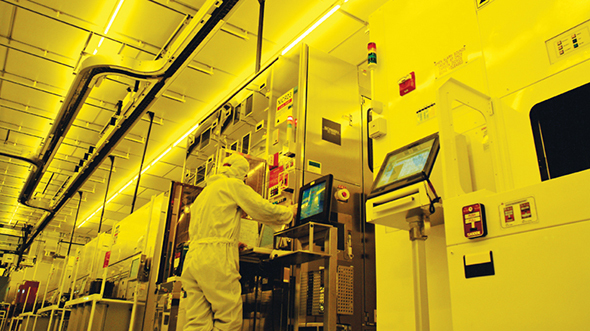 Taiwan Semiconductor Manufacturing Company, or TSMC for short, is increasing its production volume for its 7nm transistor process node to meet growing demand from semiconductor manufacturers. These fabless companies are reportedly skipping the 10nm node and going straight for the denser transistor tech. TSMC’s 7nm FinFET process will be 1.6 times denser than the 10nm FinFET process node technology. The semiconductor foundry believe this will equate to, roughly, 20% speed improvements and 40% power reduction over the previous node, which has swayed more manufacturers towards adopting it sooner than expected. Searching for the best CPU for gaming? Here’s the top chips from Intel and AMD to give your PC a computational speed boost. In the first quarter of 2018, TSMC was the third largest semiconductor manufacturer by total sales, just below Samsung and Intel. 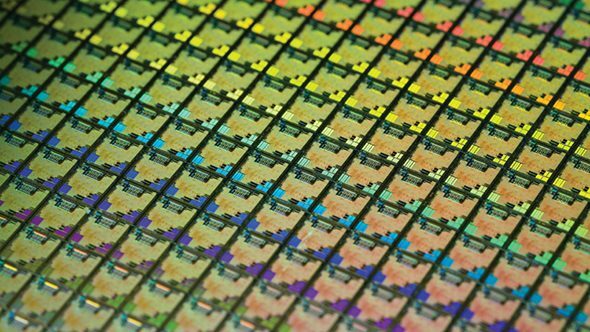 Both AMD and Nvidia now rely on TSMC to produce some, or most, of their products. Nvidia rely on TSMC’s fabs for its 16nm GPUs – such as Pascal, however, so far only AMD has announced plans for TSMC’s 7nm node. The report from DigiTimes, sourcing industry insiders, indicates TSMC had moved forward volume production of its ‘N7’ 7nm tech to Q2 2018, and that TSMC expects sales from 7nm to account for over 20% in Q4 2018, and 10% across the year. Image and header image courtesy of Taiwan Semiconductor Manufacturing Company, Limited. AMD are utilising TSMC’s latest 7nm node for its Radeon Instinct 7nm Vega GPU launching by the end of the year. But it’s also possible that TSMC will be utilised to offset massive demand requirements from GlobalFoundries on the CPU side, too. As for Nvidia, it seemed likely that the next generation of graphics cards from the green team – such as the Nvidia GTX 1180 – would utilise the Volta architecture on TSMC’s 12nm lithography. However, since Nvidia CEO Jen-Hsun Huang commented that the next-generation of graphics cards won’t arrive for some time, rumours that Nvidia will utilise 7nm for its next GeForce cards have started to gain momentum. 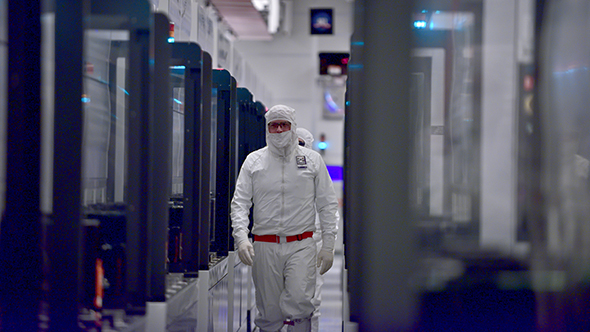 The 7nm lithography was penned as the first to utilise EUV technology in volume production – which could be massively important to the future of PCs. TSMC are reportedly prepping an N7 Plus node, which will utilise EUV tech in some way (likely non-critical), and will be available from 2019. As for 10nm, which Intel is still struggling to get to grips with, TSMC saw sales from this node account for 19% of total sales in Q1 of 2018, but this will likely slip to under 10% by the end of the year. Intel, on the other hand, is convinced its 10nm node will be denser, and better performing, than competitor’s 7nm processes.